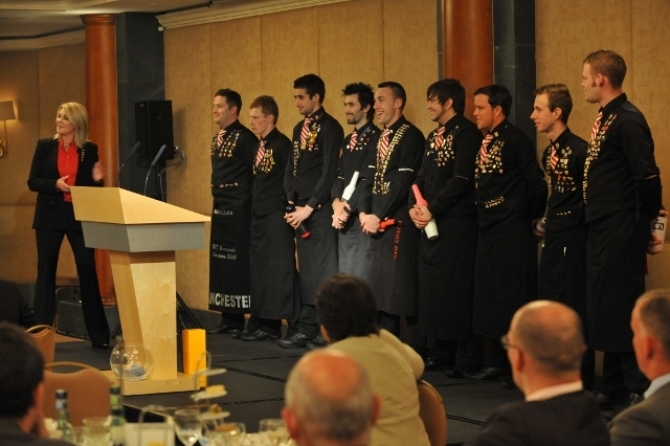 At lunchtime on Monday 11 July 2011, the ballroom at the Jumeirah Carlton Tower Hotel, London was buzzing. 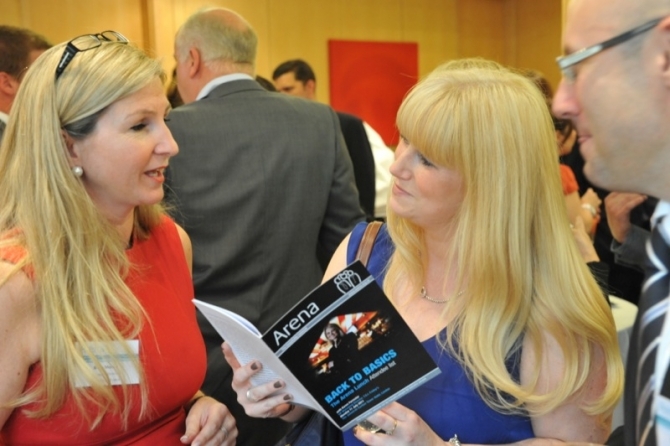 The networking drinks reception at the Arena Lunch was in full swing and the room was rammed. 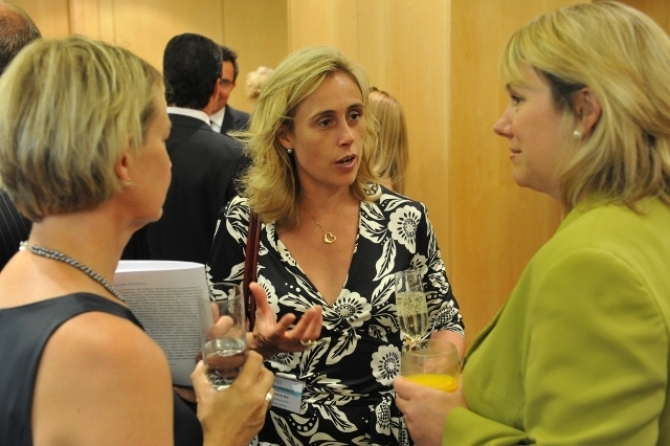 Senior professionals from across the industry gathered in force to catch up with old colleagues, make face-to-face contact with new acquaintances and to hear what guest speaker, Karen Forrester, UK Managing Director, T.G.I. Friday’s, had to say. Karen pulled in quite a crowd and the guest list was impressive, including some heavy-weight names from the restaurant sector such as Robin Rowland, CEO, Yo! Sushi, Simon Kossoff, CEO, Carluccios and Russel Joffe, CEO, Giraffe. 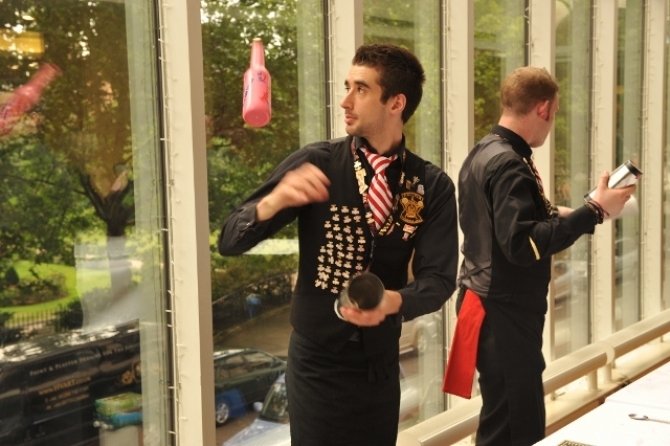 In a change to the traditional format of an Arena drinks reception a splash of colour, theatre and magic was added to the proceedings by the incredible talents of the T.G.I. Friday’s team of cocktail flairers. They wowed their audience with fancy flaring and superb cocktails that were both stunning in taste and appearance. Some good old-fashioned magic was also thrown in to keep the guests on their toes! 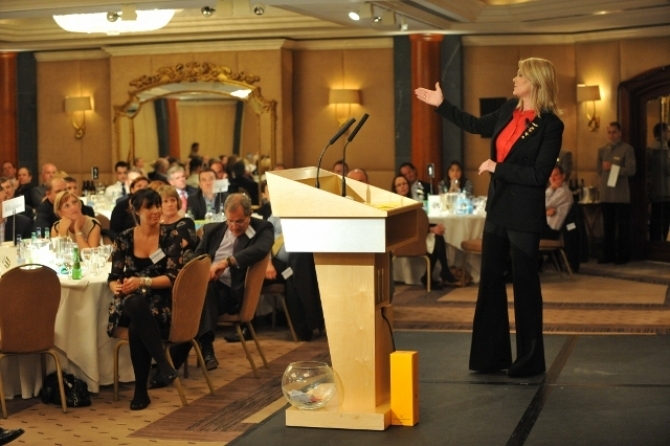 When Karen took to the stage after a fantastic lunch, with no script and very few notes, the audience couldn’t help but be impressed by her dynamic, insightful, succinct and incredibly passionate delivery. In a short space of time everyone fully understood and was excited by what being part of T.G.I. Friday’s is all about, and how she and her team turned the business around to make it great again with the successful Back to Basics strategy. Back to Basics was all about remembering what made Friday’s great in the first place and getting that back. There were many nods when Karen said “I bet everyone can remember the first time they visited a T.G.I. Friday’s”, describing her first visit in the 1990s as “an assault on the senses” packed with music, cocktails, magic, flairing and atmosphere. Yet, just five years later on a subsequent visit she found the magic had gone, and Friday’s simply left her radar. That is until she got the call about the UK Managing Director role in 2007. At first reluctant to take the role, it was by talking to some of the staff that Karen realised that some of the old magic was still there and Friday’s could be good again. A devastating fire at the Hagley Road, Birmingham site in 2008 signified the start of the rebirth of Friday’s. Karen is sure it was no coincidence that the very first UK site was burnt to the ground. Taking this omen in both hands she set the wheels in motion that allowed the “phoenix to rise once more from the flames”. Hagley Road became the model for the rest of the UK. 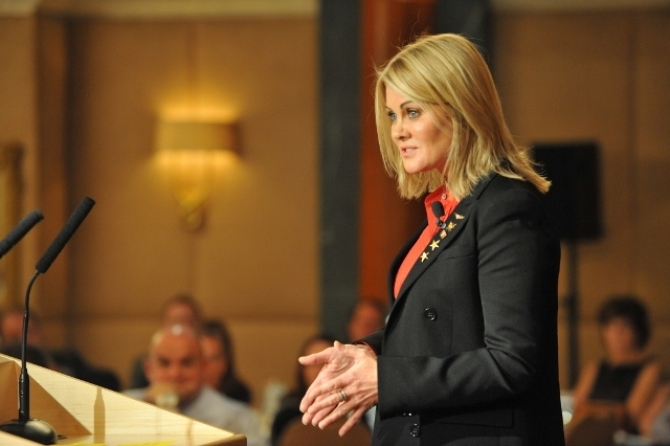 Karen’s turnaround strategy revolved around the people. The food and the aesthetics were easy to fix but the culture was the thing that had to be reinvigorated. She realised that less than three in ten of Friday’s staff were fully trained in their role. Without knowledge they lacked confidence, and without confidence their personalities simply could not shine through. The Back to Basics programme was a bold one. Every member of staff was evaluated at every level, and if you were not a Friday’s person you were out. Then every single person was re-trained so that they knew every item on the menu, the recipe, and specifications of the top 20 cocktails. On top of this, in a recession that saw restaurant chains offering discounts left, right and centre, Karen refused to ‘rent people’ and resisted the pressure to follow suit. It was her firm belief that the guest experience should be the thing to bring customers into the restaurants. The strategy was a huge success and the turnaround of Friday’s exceeded all expectations, hitting its three-year target in the first year of the turnaround! Now in its 25th year in the UK, Friday’s has well and truly got its magic back. It is enjoying a strong position 6.6% ahead of the casual dining market and looking forward to opening its 50th restaurant next year, with a further 20 to be opened by 2015. The T.G.I. Friday’s vision of ‘our people are family, guests become friends, competitors envy us’ encapsulates the success that Karen has achieved in a very short time as UK Managing Director of the brand. And its people embody its values of pride, passion and personality.